Do you get enough water during the day? Adequate water intake is important for the overall health and performance of your body. You’ve heard the standby rule, drink 8 glasses of water a day. The Institute of Medicine recommends men drink at least 13 cups and women 9 cups a day. Throwing back cup after cup of water can be difficult and impractical. This is why we suggest you eat your water! Many fruits and vegetables contain a high percentage of water. In addition to drinking plenty of water, you can supplement that intake by eating fruits and vegetables full of h2o! Add this produce to your diet and keep your body hydrated all summer long. The humble cucumber is over 96% water. It’s super versatile, too. Toss it in salads, smoothies, or dip them in dressing and eat them raw. 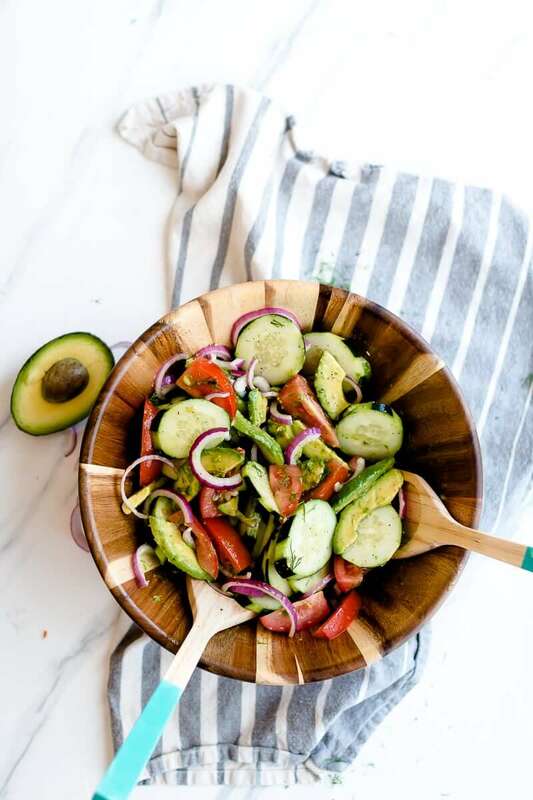 We found this recipe for marinated cucumber salad that looks super easy and super delicious, the perfect way to eat your water! The scrumptiously plump and juicy tomato holds 94% water, making it perfect for eating your water. Grape tomatoes are a great snack on the go. Large tomatoes are great to put on wraps, salads, and main dishes. They add a burst of flavor and hydration to any dish. 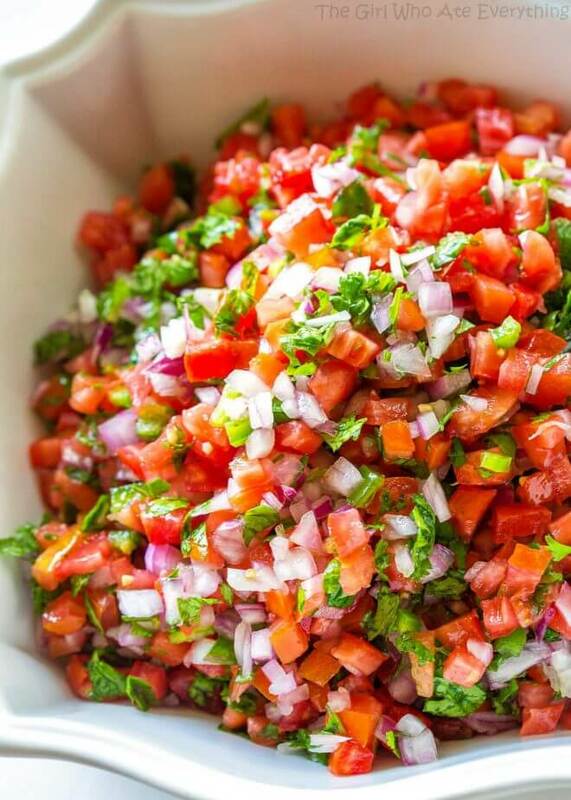 Throw together this quick recipe for pico de gallo, full of hydrating tomatoes. Use the chunky salsa as a dip for chips and as a topping for chicken and eggs. Whatever your preference, add some tomatoes to your day to eat your water. Throw in the 91% water content on top of the high levels of iron, fiber, folate, and vitamins K, A, and C, and spinach is an all-around superfood. Spinach blends so well in smoothies and juices, and it pairs well with other veggies and fruits alike. Dress it up in a strawberry and spinach salad, add to your omelet, and cream it for a holiday side dish. Blueberry Banana Ava – what!? At Juiceria, we prefer to blend it! If you haven’t tried our Blueberry Banana Avocado smoothieyet, you need to head down here now! Not only creamy and delicious, this smoothie is packed with nutrients and includes spinach. 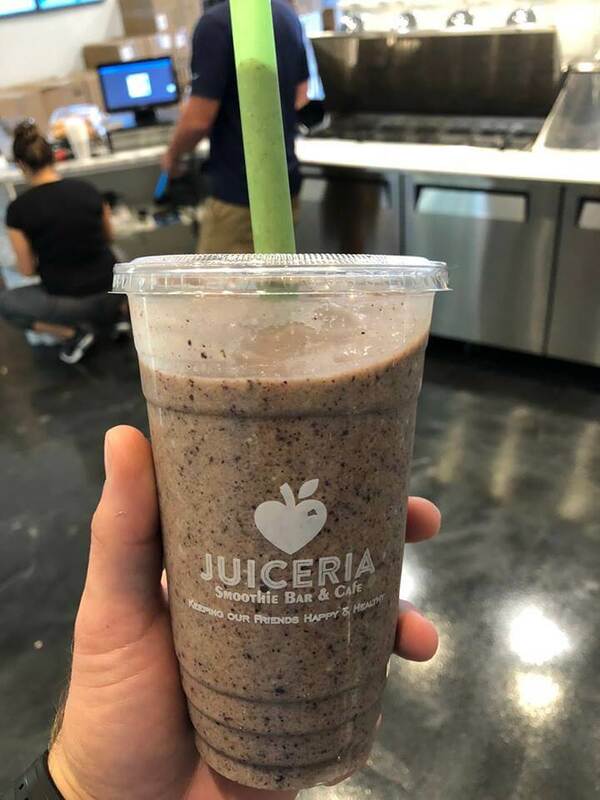 The bananas, blueberries, almond milk, cinnamon and vanilla extract disguise the taste of the spinach, so you’ll feel like you’re just sipping heaven from a cup. All the while you are supercharging your health with vitamins and minerals and adding to your daily water intake! That’s how we eat our water! The red berries contain 91% water, more than any other berry. The perfect summer treat, strawberries go well on salads, in smoothies, on desserts, and on their own! They are shaped like little hearts, which should be a clue that they are good for yours. Strawberries contain fiber, antioxidants, vitamin c, manganese and potassium, making them super healthy berries. We love the mix of strawberry, ginger, and lemon in our Sweet Revenge shot at Juiceria! Lemon and ginger add zing, flavor, and health-boosting nutrition while the strawberry sweetens the shot, adding a mellow balance. 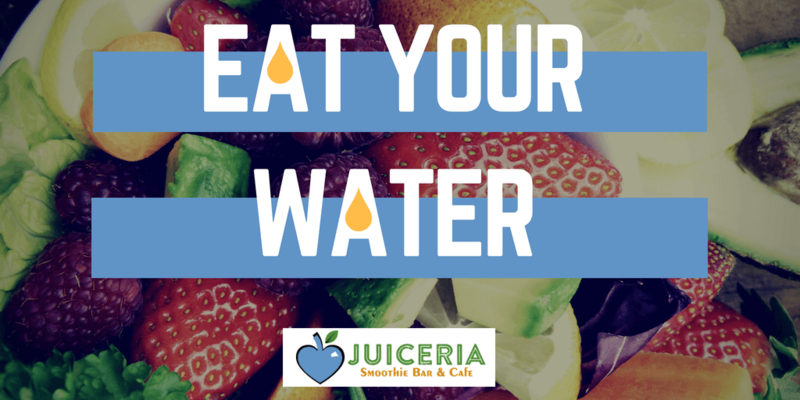 Try it out at Juiceria today! Many other fruits and vegetables contain a high level of water, such as iceburg lettuce, watermelon, citrus, bell peppers, celery, and melon. Think of ways to incorporate these fruits and vegetables into your meals every day, and keep your hydration up. A hydrated body can keep going and stay cool in this South Carolina heat. 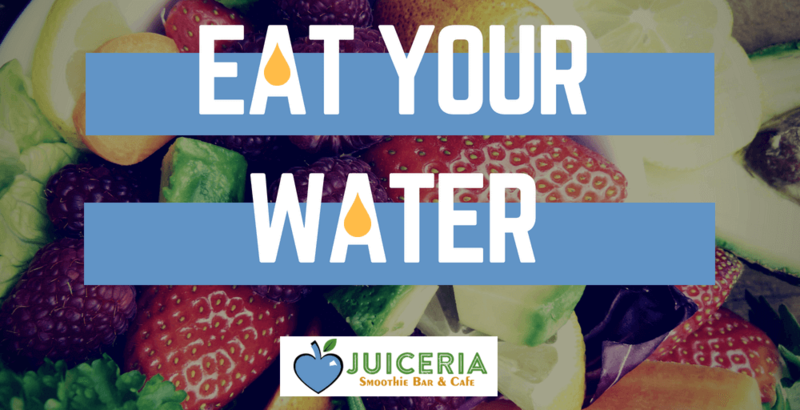 Stop by your Juiceria when you need a h2o on the go! Our smoothies, juices, Acai bowls, and other treats are jam packed with fresh produce. At Juiceria our goal is to keep our friends happy and healthy. Come see how we can help you do that today!